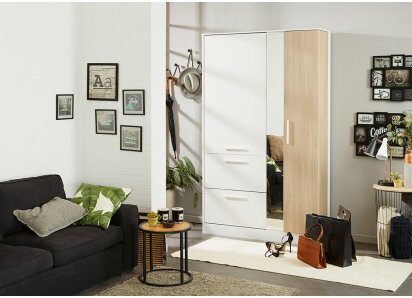 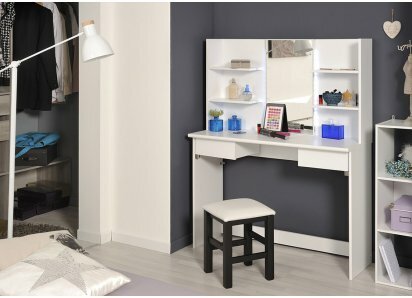 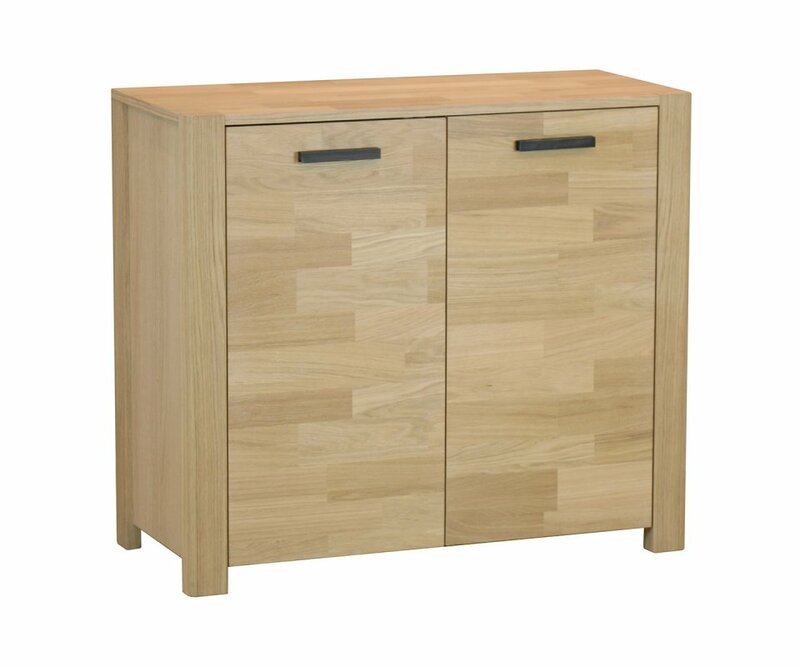 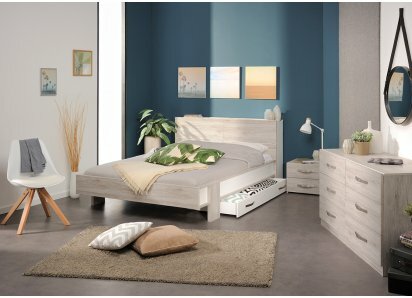 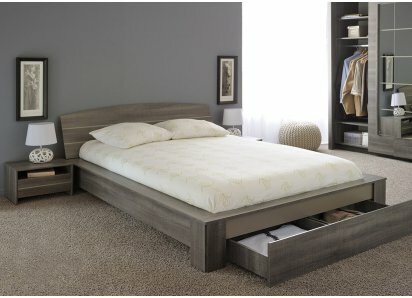 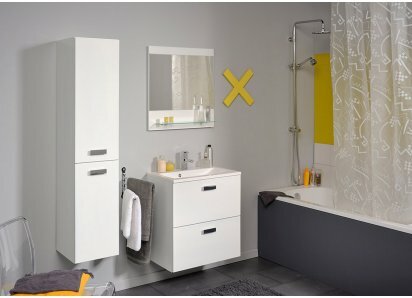 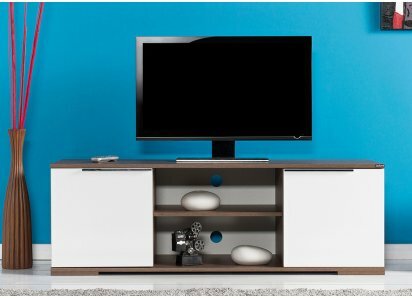 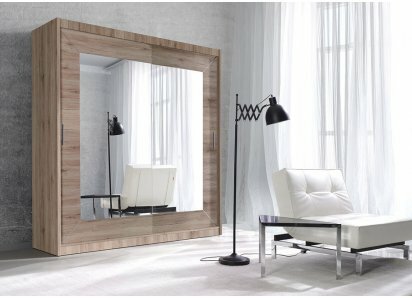 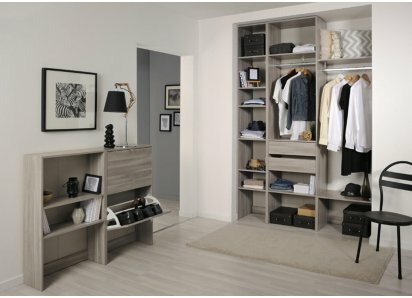 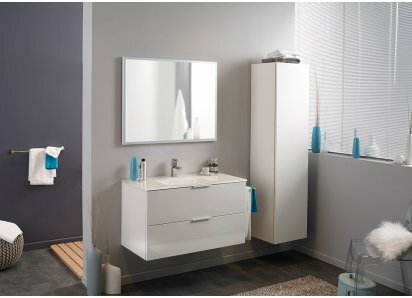 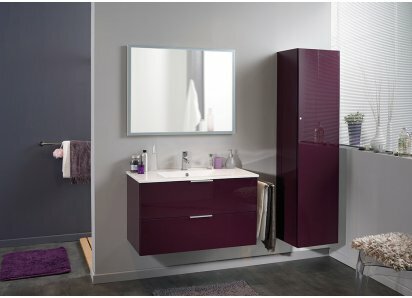 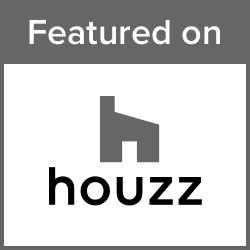 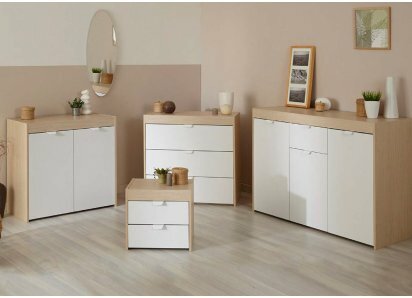 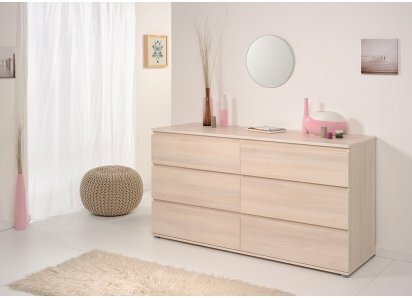 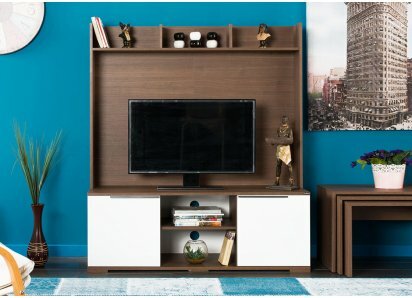 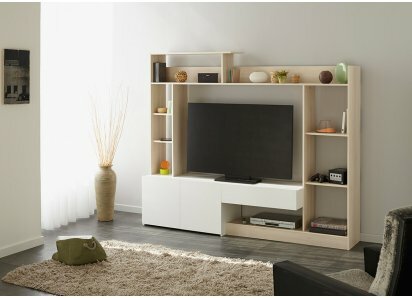 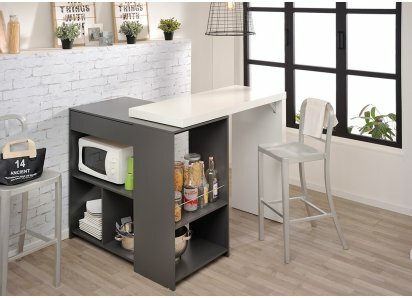 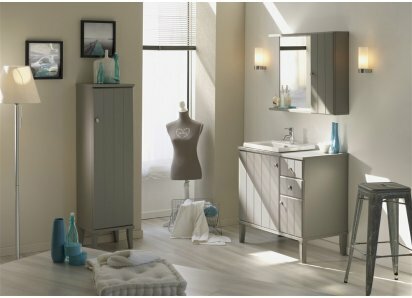 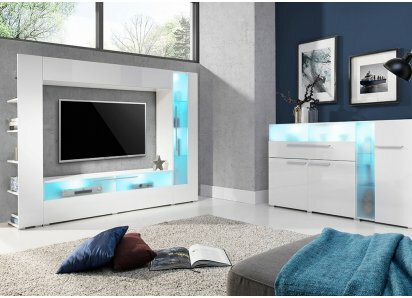 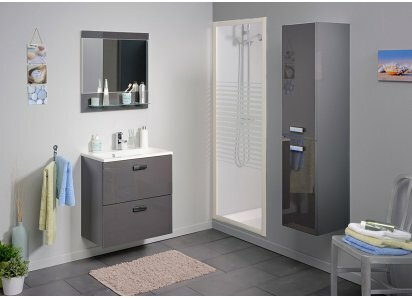 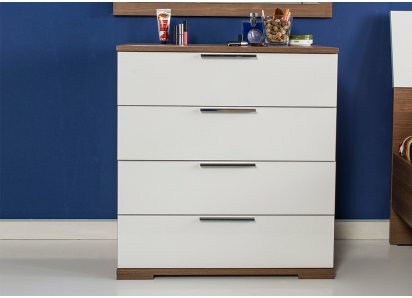 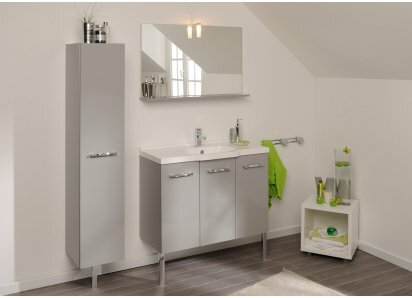 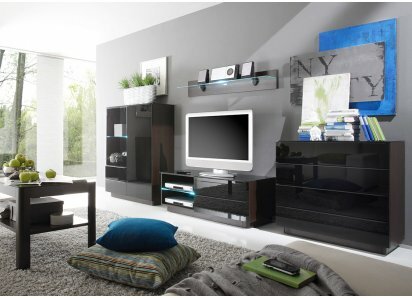 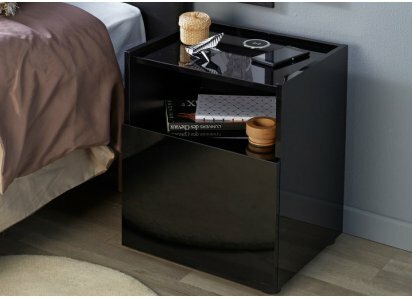 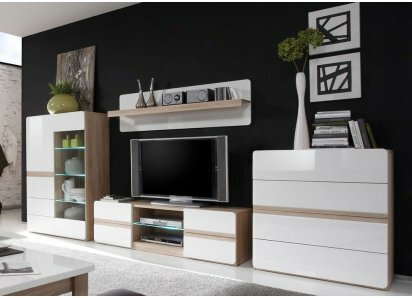 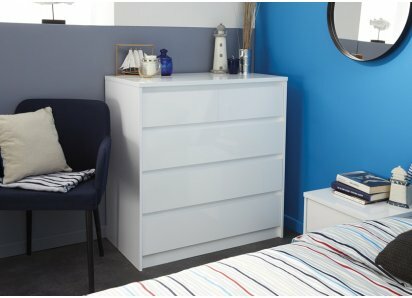 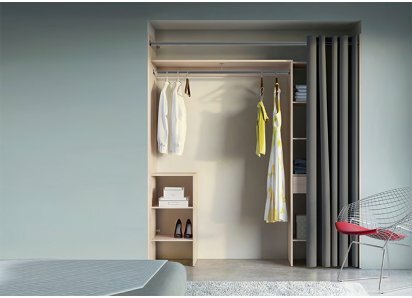 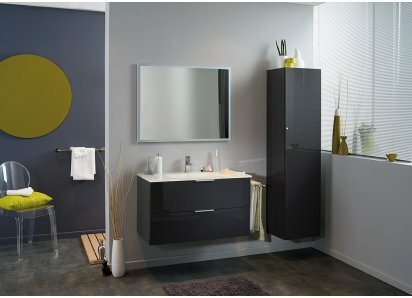 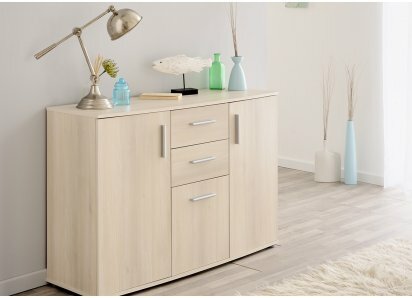 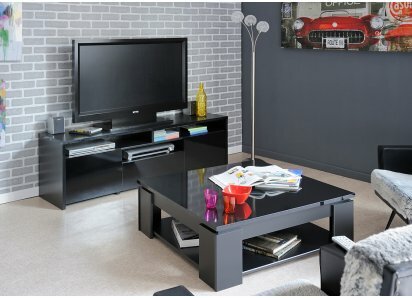 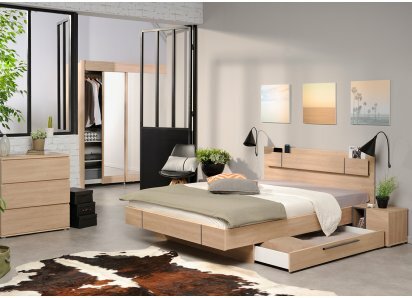 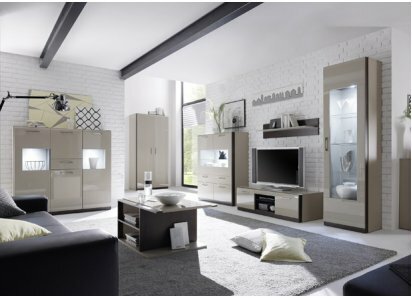 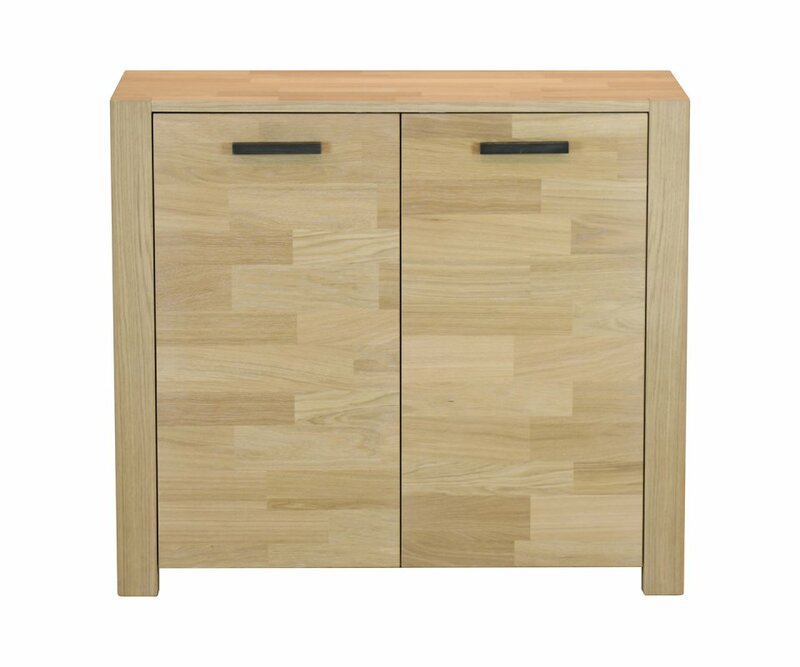 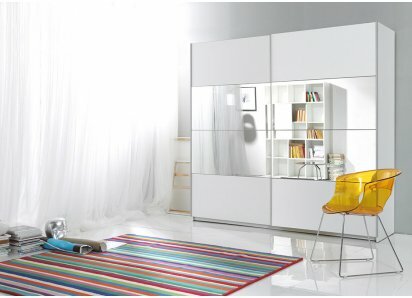 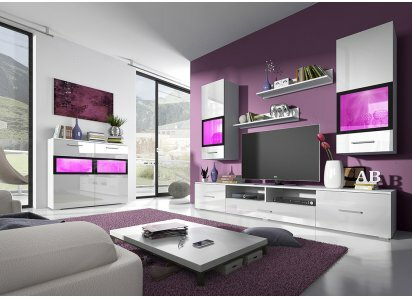 SIMPLICITY AND STYLE: Aesthetically beautiful in design, with sleek, simple lines, slim contrasting metal hardware, superb neutral color pattern, and practical storage function. 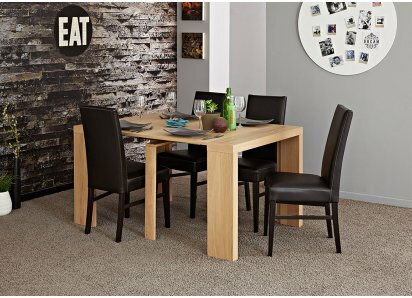 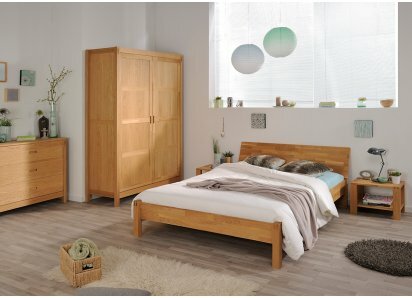 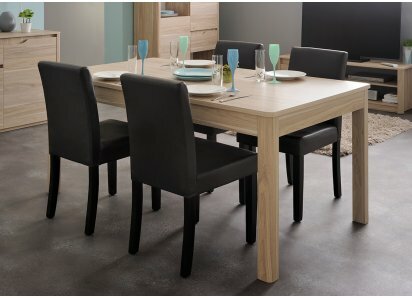 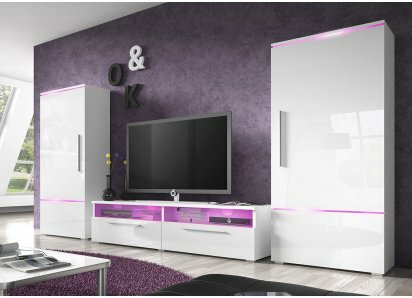 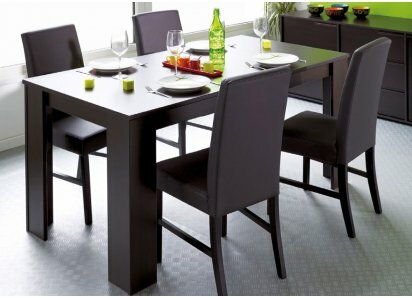 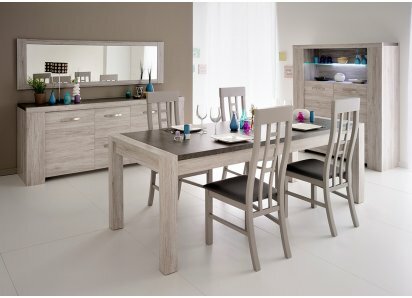 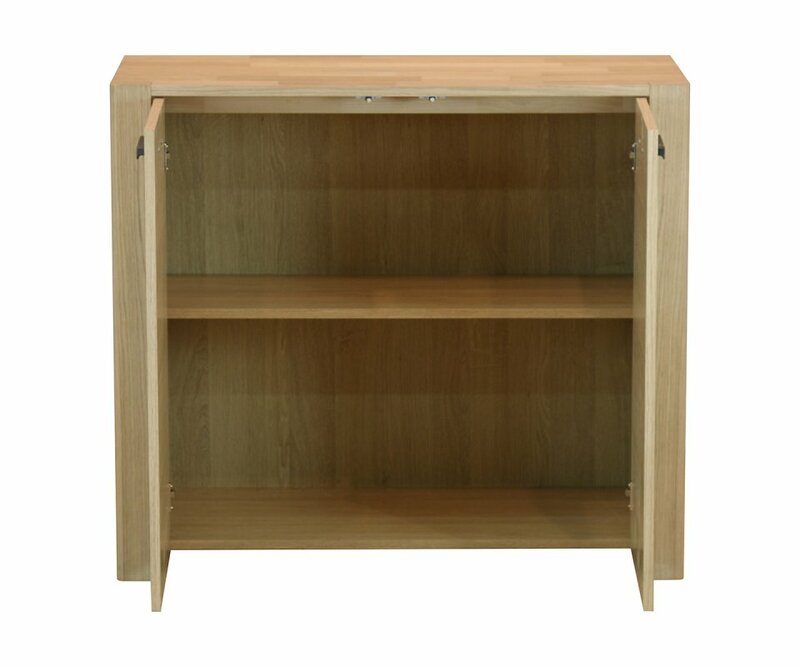 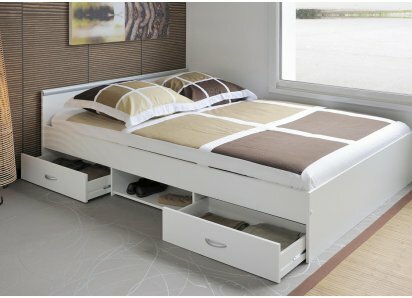 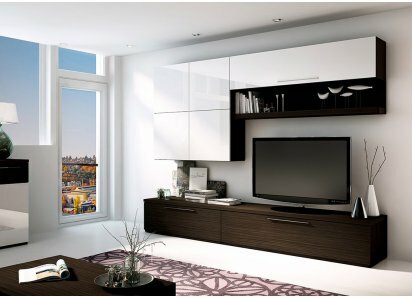 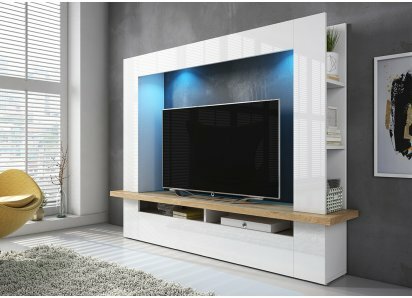 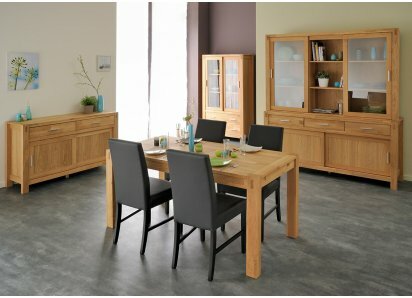 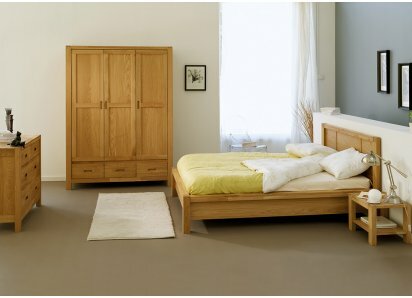 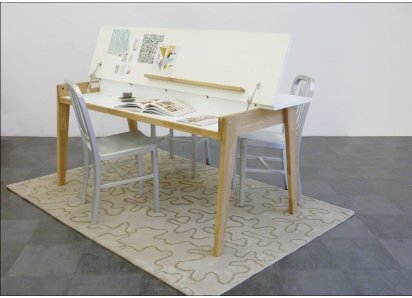 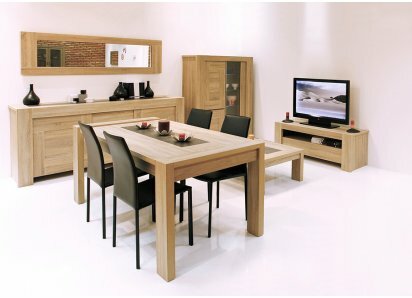 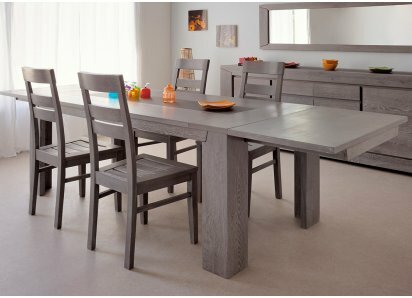 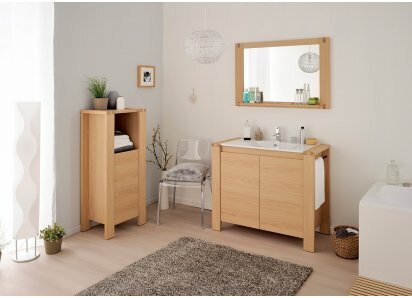 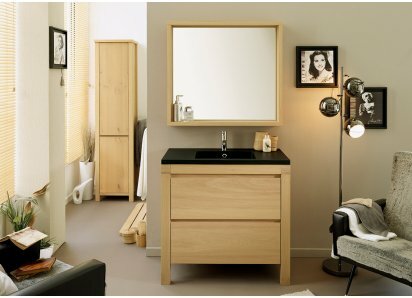 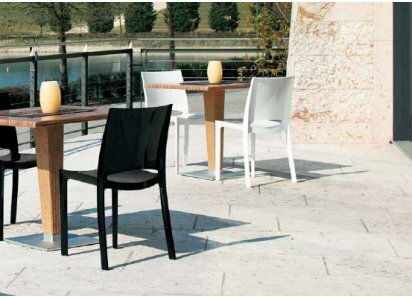 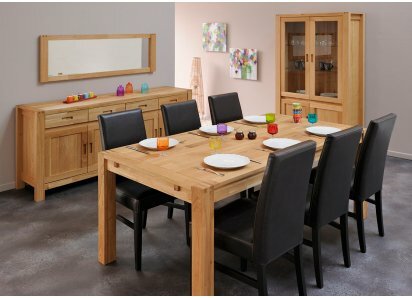 PREMIUM QUALITY OAK VENEER: Solid oak furniture has been laminated with finger-jointed oak finish that provides durable protection against scratches, dents, stains and water rings. 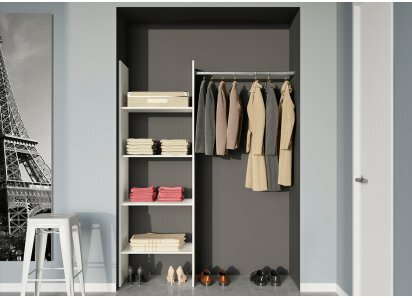 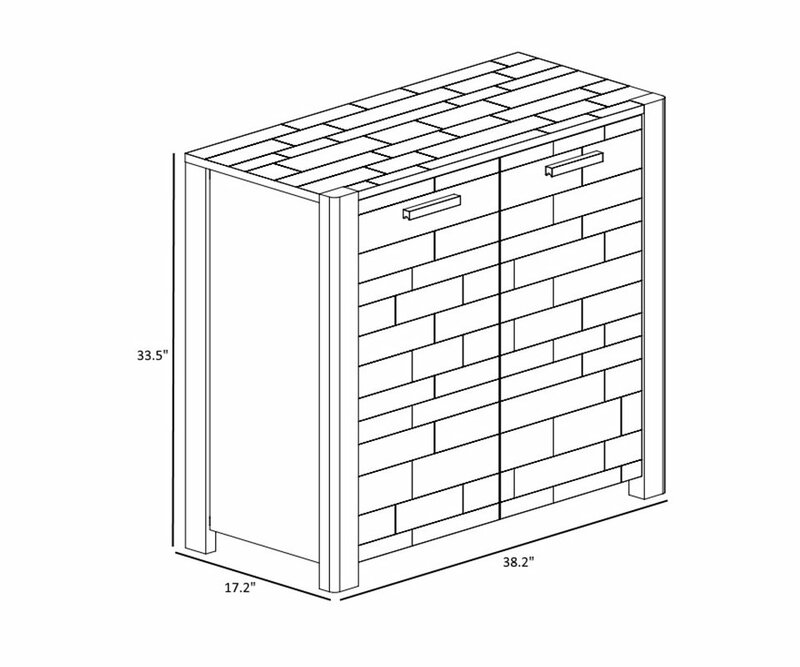 WIDE SHELVES: Two wide shelves are over 17” deep, and tall enough to hold towels, linens, blankets, china, storage baskets, or whatever you are creating organized space to store. 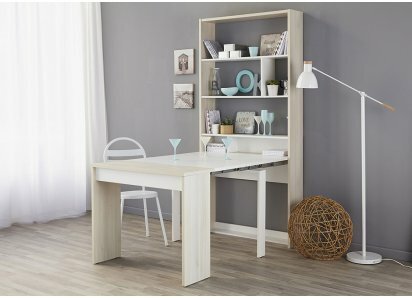 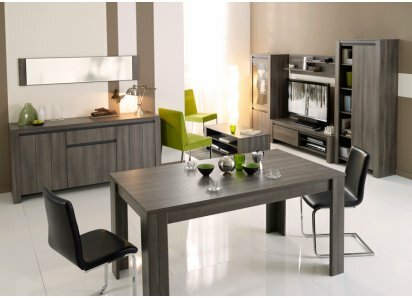 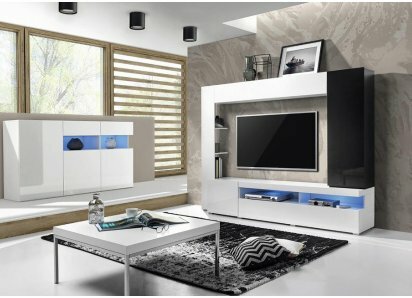 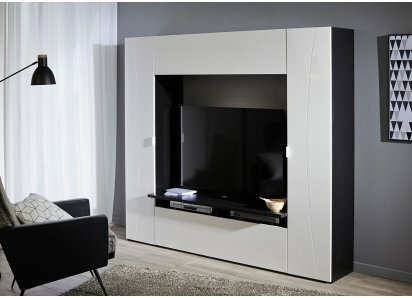 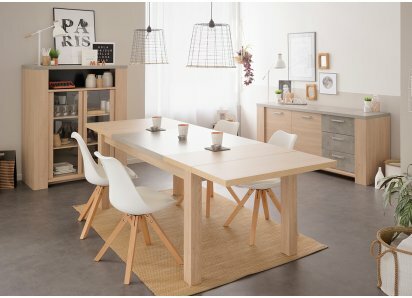 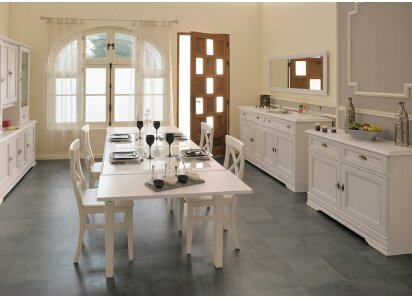 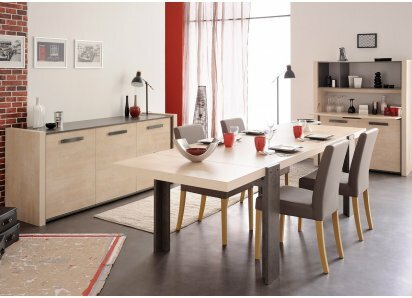 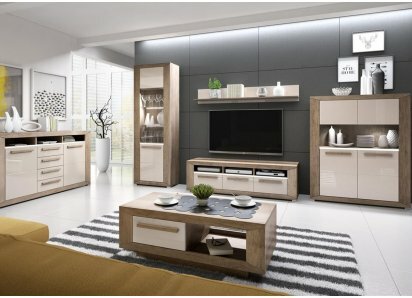 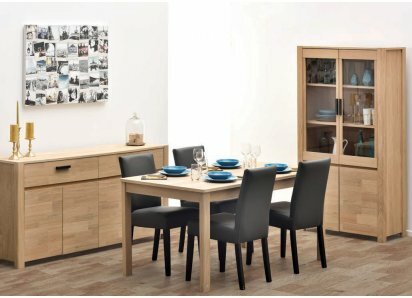 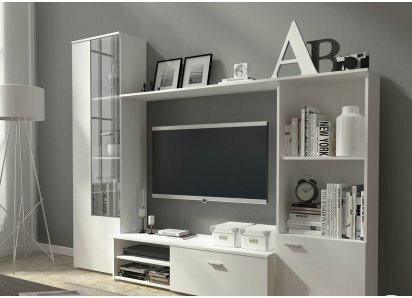 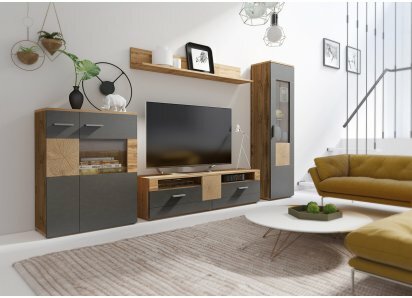 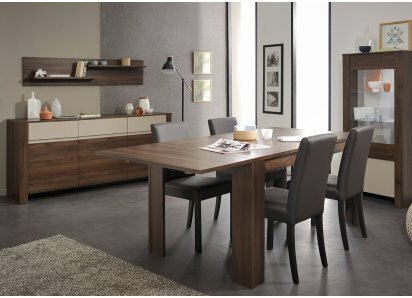 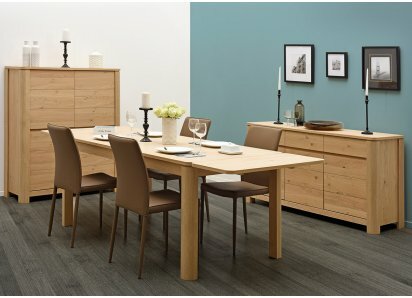 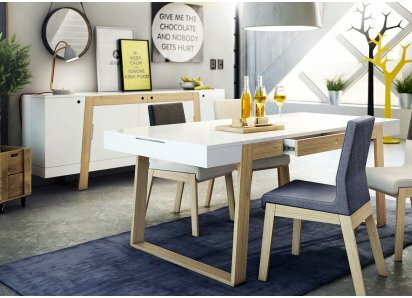 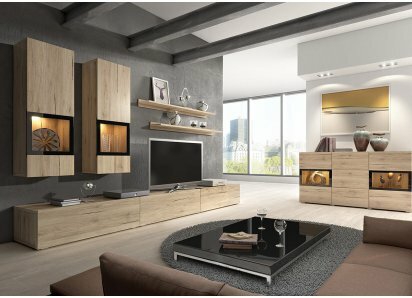 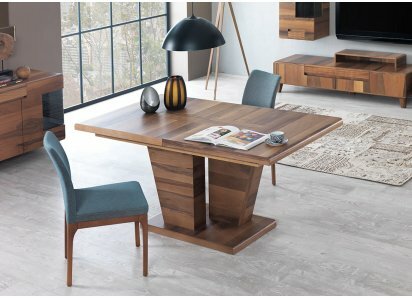 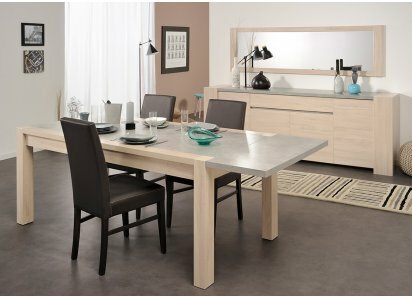 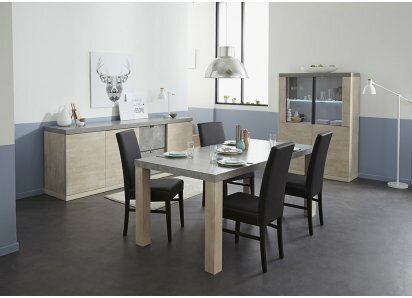 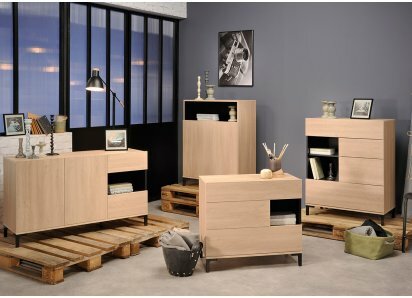 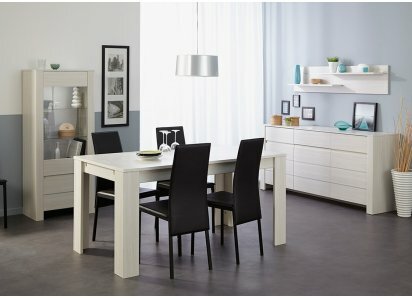 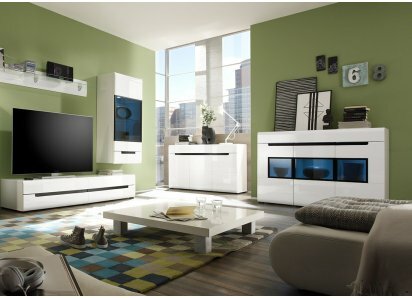 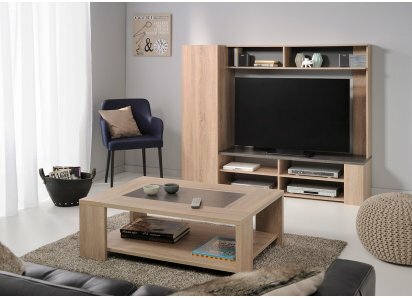 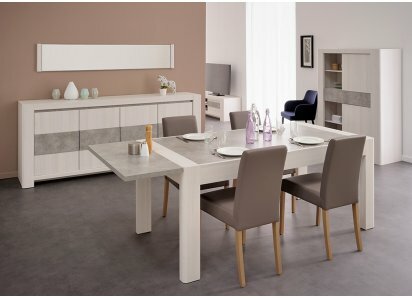 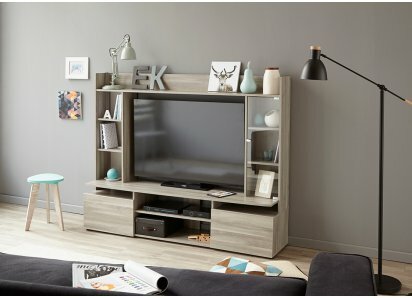 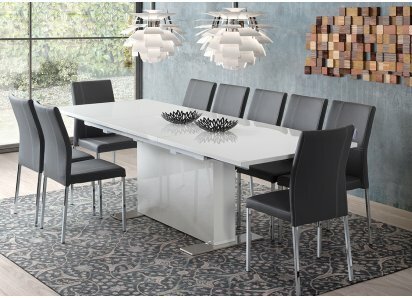 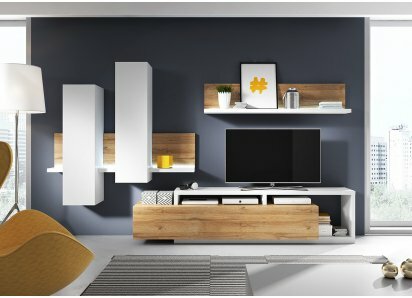 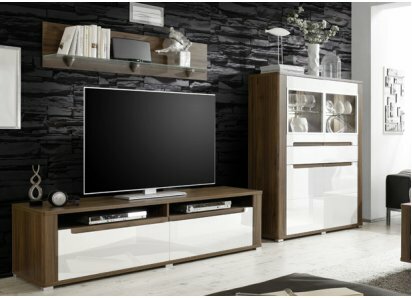 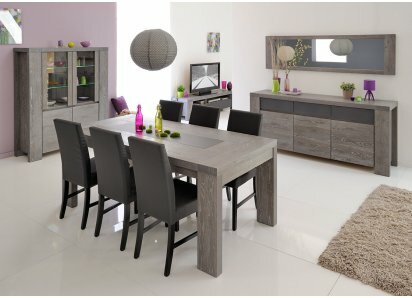 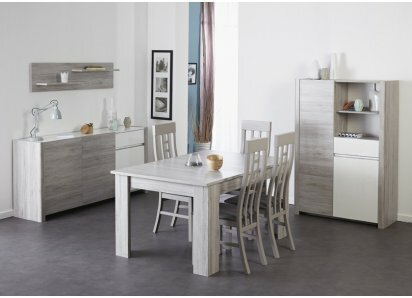 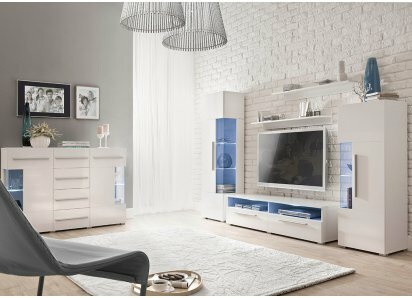 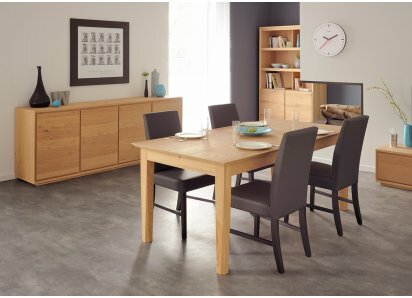 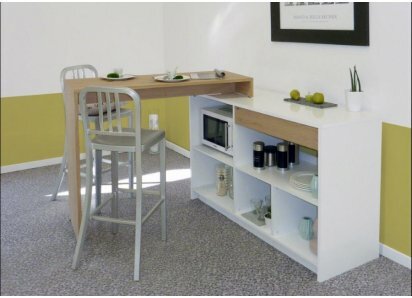 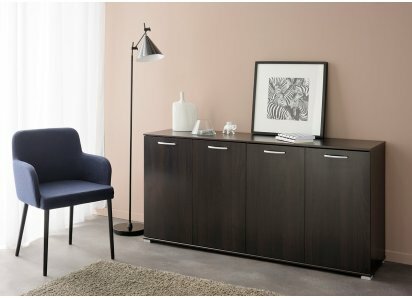 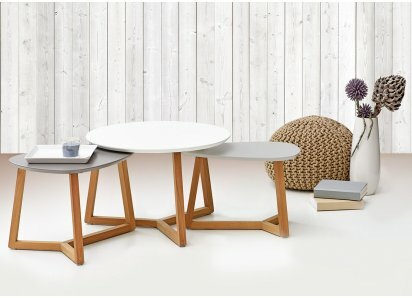 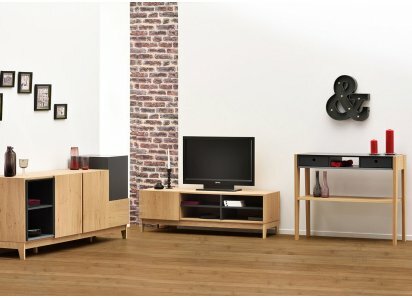 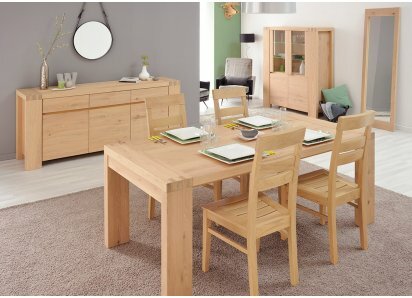 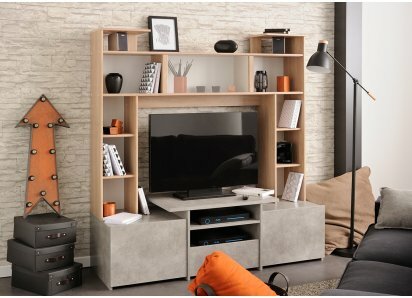 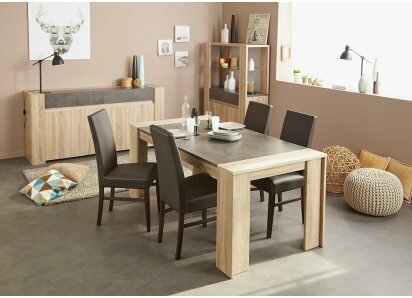 MULTIPLE USE FURNITURE: Because our Nordi collection contains both dining and living room furniture, it’s easy to design your particular space with all the possible pieces available! 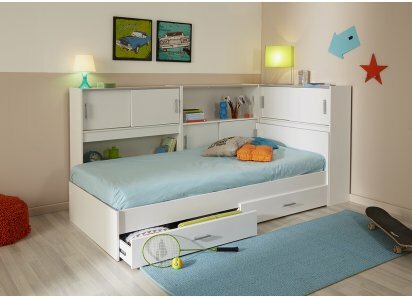 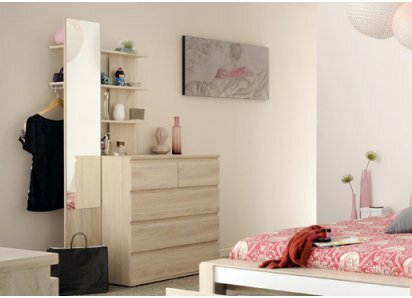 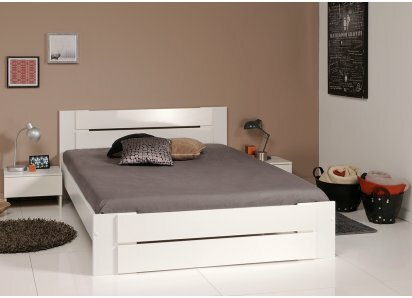 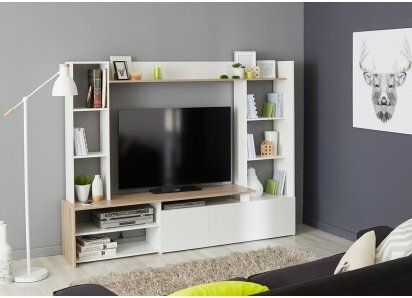 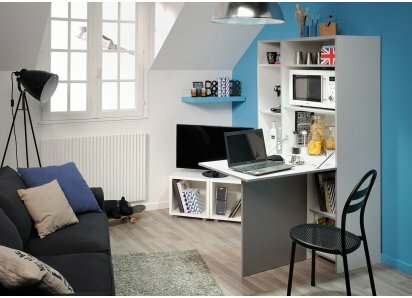 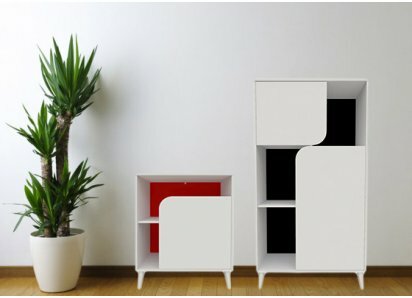 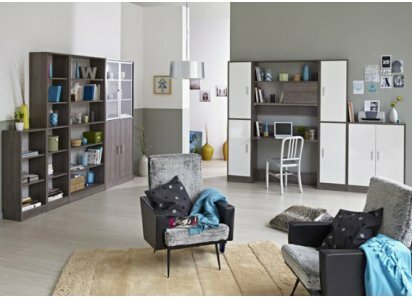 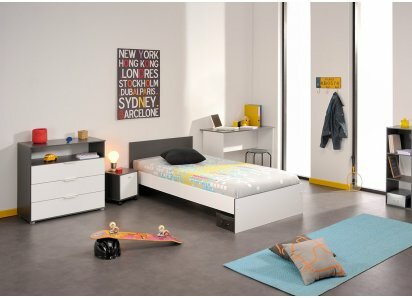 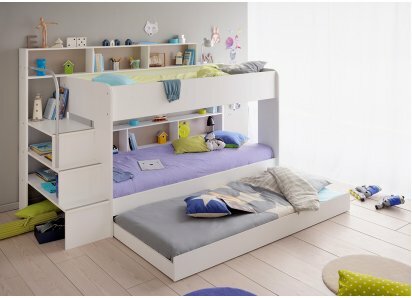 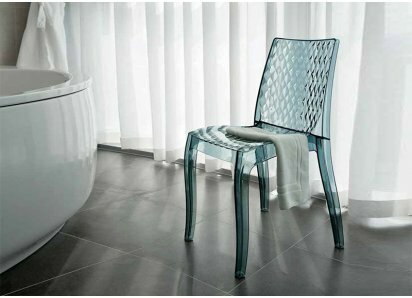 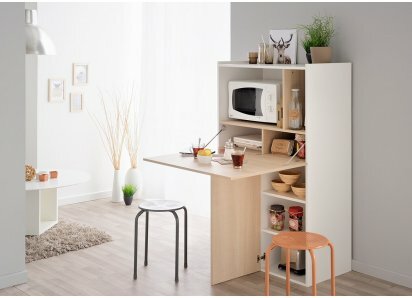 GREEN WAY COMPANY: The Parisot Company is committed to using eco-friendly manufacturing, packaging and recycling processes in everything they make. 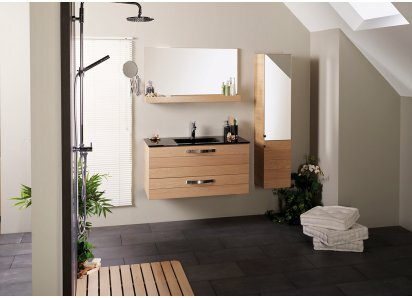 They have been awarded the Green Way accreditation for their ecologically-conscious practices.